Engineers using mechanical-engineering CAD packages often find themselves using devices designed for general office workers, devices that are not suitable for their specific needs in terms of workflow, ergonomics, access to commands, extended use and productivity. It is 3Dconnexion’s mission to provide engineers with dedicated tools designed for their specific needs as professionals. 3Dconnexion has a trusted reputation as a specialist in providing CAD tools to engineering professionals. Design Partners has been working with 3Dconnexion collaboratively for 20 years. Together we create productivity tools where experience and usability are uncompromised and embodied in elegant, harmonious design solutions that speak to engineering values of quality and precision. Each product is extensively tested with end users, so their insights inform all the stages of design development in an iterative process. The SpaceMouse Enterprise is the latest and most advanced product from this collaborative relationship. 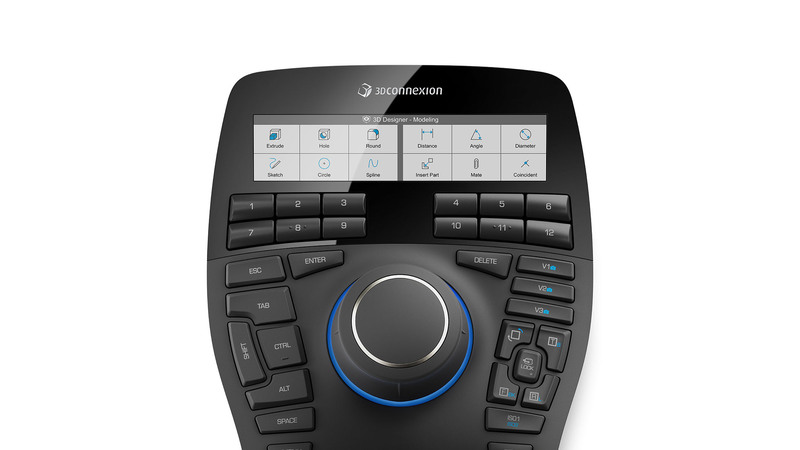 The SpaceMouse Enterprise, 3Dconnexion’s most advanced 3D mouse, is the latest in a line of products offering a more intuitive and natural way to interact with digital content. 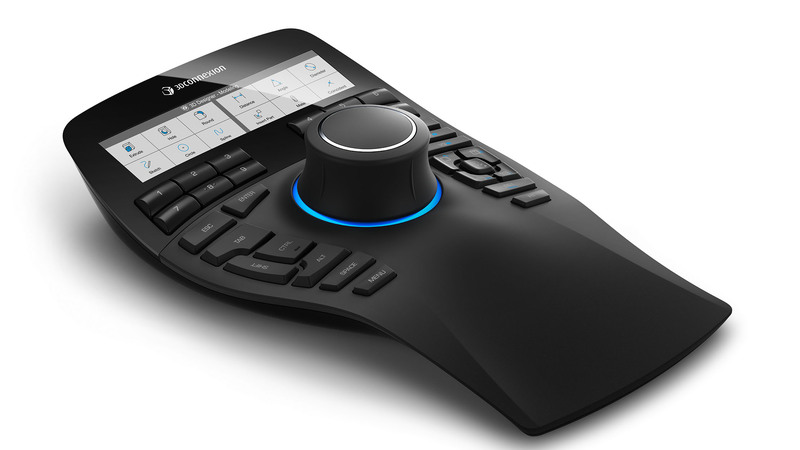 Gentle manipulation of the controller cap translates to smooth and intuitive 3D navigation, while pressing a function key snaps your model to a standard view of your choice. Very much designed in consultation with users, keys are arranged under fingertips, for easy access. The addition of a high-resolution smart display presents the actual icons from your application, bringing the familiarity of the toolbar ribbon right to your fingertips. The correct toolbars are always available because SpaceMouse Enterprise’s intelligent function keys automatically update as applications or environments change. 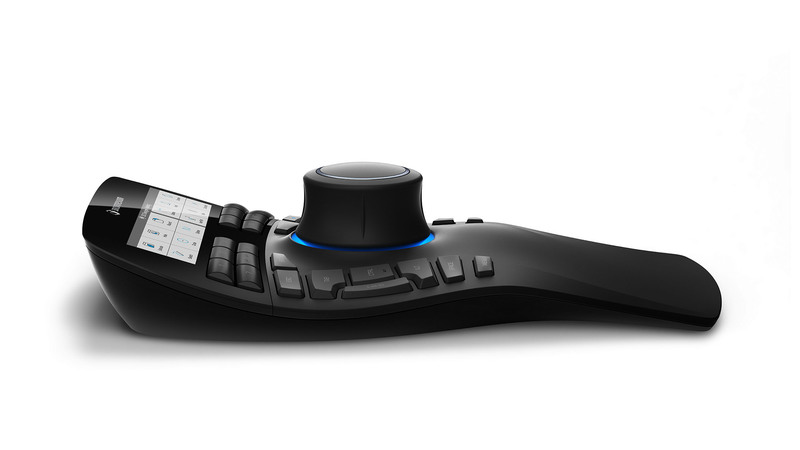 For professionals who value increased productivity and a streamlined workflow, this means less hand travel to the keyboard, improved ergonomics and fatigue reduction.